Writing has always been a lonely business. Years ago, the world was very different. Not only did we have to wipe the dinosaur footprints off the galley proofs before sending them back in the post, we had hardly any contact with other writers so we couldn’t even compare dinosaurs. But over the last two or three years the loneliness of the long-distance writer has faded away. Our studies and writing sheds now hum with the voices of other writers, always on hand to offer advice, distract with jokes or questions, to encourage, sympathise, congratulate, grumble or just gossip. For all their benefits, online groups are also a huge distraction. Writers spend a lot of time avoiding writing, as you probably know. Published, professional writers are no different in this regard from writers-in-training, in fact they are possibly worse. And if someone has just asked for suggestions for the title of their latest book, or how pop-up books were made in the 1880s, or what were the ingredients of theriac (a ‘cure’ for plague), you do, of course, feel duty bound to spend the morning helping out your friend rather than getting on with your work. It’s great for building a sense of community, but perhaps not for getting books written. I wonder if anyone is studying the productivity of authors alongside the rise of online groups catering to their interests? There will be losers, but they are not us. In the dim and distant past, great literary friendships were carried on by letter. Our online groups, Facebook and, to a lesser degree, email have replaced letters. Future scholars will find no equivalent of the correspondence between Tolkien and CS Lewis, or Boswell and Samuel Johnson. If I ever became a renowned literary figures (dream on! ), the advice I’ve received from even the most famous and accomplished authors will have disappeared into the ether long ago – no-one will ever dig it out of the twisted bowels of Facebook and the archives of the SAS are deleted regularly (secrecy comes with the balaclava). Choosing the right online groups can take a bit of trial and error. 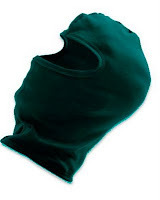 My favourites are Balaclava (for published writers of children’s fiction), Nibweb (for published writers of children’s non-fiction) and Wordpool (for published and unpublished writers of any kind of children’s books). None of these groups is concerned with mutual critiques, by the way – that’s an entirely different kind of activity. If you're not part of a writing group yet, you can start looking at the lists of groups offered by Yahoo, or on Facebook, or you could join one of the social networking groups aimed at writers, such as JacketFlap. I find UK-based groups the most useful. Publishing in the US is very different from publishing over here, and advice does not always ship across the Atlantic well. Over here, too, many of us share publishers or agents and write for the same lists and series. That helps to create a real sense of community as though we actually were, really, in a workplace, doing real work that we were being paid real money for while actually standing around the water-cooler having a natter. Ooh, ooh! Theriac must have treacle in it! I agree of course about Balaclava, being a paid up member of the SAS myself adn I'm now happy to be one of the Fascinators too. You didn't mention Twitter but there are all sorts of topics there like #amwriting and #kidlitchat that might be worth exploring. It's true, I didn't mention twitter - one distraction too far for anyone who hasn't discovered online groups, I thought! I'll talk about twitter another day. 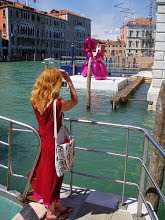 Theriac (yes, Venice treacle) has about 64 ingredients in its best form, including preserved viper. You can't get it in Tesco, not even in the the Finest range. But I'm sure with your cooking skills, Book Maven...ah, the viper might be a problem - quorn viper? Perhaps' Viper's Bugloss would do at a pinch? See, helpful fellow-author stops work to help out with a knotty problem. And I too agree about the amazing knowledge bank which is Balaclava. Should I wish to know, say, about the shamanic practices of the tundra peoples in the 13th century, with particular reference to the vision-inducing properties of a certain moss, that's where I would go first. But, as you say, it's a shame that future generations will lose out on this literary loot. As I've said before, elsewhere, I am an avid reader of literary letters, being incurably nosy. Sorry to sound ignorant but what is Balaclava? I've got a balaclava and done a video to prove it. Can I join? Balaclava is the online group that is part of the SAS (scattered authors society). You can only join the elite hit squad that is Balaclava if you are already in the SAS. To be in the SAS you need to have published (not self-published) children's books. And then you have to run the gauntlet of 2,000 men 36 times. Well, not that last bit. So possibly you can join.